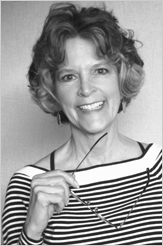 Nancy Ann Hibbs, ASID, started interior design 101 _in 1998. Nancy has lived and worked in the Western States for most of her life, she is familiar with a multitude of interior design sources throughout the Western States. Nancy has been utilizing her interior design knowledge with design consulting services (corporate and residential) and thoroughly enjoys educating those that are interest in the interior design field – at any level (beginner to expert). Nancy Ann Hibbs, ASID, has worked with several higher educational facilities – her goal is to educate future interior designers and those in related design and construction fields.